Cleo Ann Terry Glasspoole, age 80, passed away at home surrounded by her family on Saturday, September 8, 2018. Cleo was born June 16, 1938 to Cleo Alphonso Terry and Anna Matilda (Erickson) Terry in Rock Springs, Wyoming. 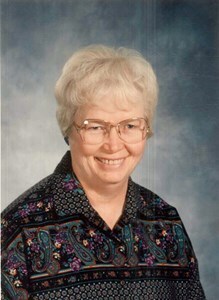 She graduated from Green River High School in 1956, and attended the University of Wyoming where she earned her Bachelor's in Elementary Education. She earned her Master’s in Elementary Education from Lesley University in 1991. Cleo taught elementary school in Laramie, Kemmerer, and Casper, Wyoming. She retired from Natrona County School District in 2002 where she was a first grade teacher at Evansville Elementary School. Cleo was an active member of the Church of Jesus Christ of Latter Day Saints for many years and served many different roles in the church including; playing the organ, serving as a visiting teacher, and the Relief Society. Cleo had many hobbies including reading, crocheting, making picture collages for her family and friends, and tole painting. She loved spending time with family, especially during the holidays. One of her favorite places to spend time during the summer was her cabin at Alcova Reservoir. She also spent summers attending the many family reunions with extended family. Cleo is survived by two daughters - Teri Leigh (Rick) Black, and Dixie Lynn (Randy) Barnes, five grandchildren - Bradley and Jared (Laura) Black, Roseanna and Mackenzie Todd, and Destynea Barnes, and numerous nieces and nephews. She was preceded in death by her parents, siblings: Charles “Chuck” Terry, Shirley Mae Watson, Ronald “Ronnie” Terry, and Karen Terry, and her son-in-law Matthew Douglas Todd. A graveside service will be held Saturday, September 29, 2018 at 1:00pm at Lyman City Cemetery in Lyman, Wyoming. Donations in lieu of flowers may be made to the American Heart Association (AHA) and the American Cancer Society (ACS). Add your memories to the guest book of Cleo Terry-Glasspoole. I was in the Master’s program with Cleo through Leslie College. It was a pleasure to work with her and share stories! She was an asset to the entire program. I am so sorry for your loss. I am sorry to hear about the loss of your dear loved one. Please accept my condolences at this painful time. Losing a loved one is distressing and as comfort is needed from family and friends, we have assurance from the Bible that "death will be swallowed up forever" at Isaiah 25:8. It is my hope your family will find strength to endure during the days ahead. Cleo was such a wonderful teacher and friend. As a young coworker, I valued her quiet leadership and kind ways with her students. What a special lady. We have many fond memories of dear Cleo who was always willing to share her talents and whatever else she had to give. She was a great example, teacher, and friend. We will miss her until we meet again!!!! Cleo was a great person, I served as her Bishop for six years, I knew I could always count on Cleo. I never heard her complain or a bad word for anyone else. My son and I were Cleo's home teachers for most of my time as Bishop. I think Cleo taught us more than we ever taught her. I will miss her. My prayers go out to Cleo and her family . Cleo was my visiting teacher and I loved her quiet way of listening and responding in our conversations. She became a dear friend and I loved the being with her and feeling the serenity she always had. We shared a love of music and I so appreciated her lovely organ playing at church, week after week and year after year. How I will miss my friend. Mrs. Glasspoole was an amazing person and teacher. I was blessed to have had her as my teacher at Evansville and she also taught my eldest daughter. She had the greatest ability to get through to and connect with kids. She will be greatly missed. My prayers are with her friends and family. Cleo was one of the mainstays of Casper 3rd Ward when I moved to Casper in 1989. She was a special lady with a great smile & many talents. I always enjoyed working with her & visiting her. We will miss her! She is one of my treasured friends and I will miss her cheerful face and gentle laugh. She loved her family so very much and spent as much time as possible with them. She had such a quiet uplifting spirit and was always ready to take on a challenge. Her teaching of children was a joy to her and she loved each day she spent with them. I know she will be busy teaching and learning as well in her new calling. I pray for comfort for her family in this time of her absence. Cleo was one beautiful and classy lady who quietly went about doing good to all she could, whenever she could, wherever she could! Her love for me will always be cherished. I am sure that I am not the only one that will say that Cleo was their best friend; we all loved her so much. Cleo and I worked together in the Relief Society presidency of 3rd ward at church for 7 years. She was the accompanist for the choir for the 13 years I was choir director. We often were together with some of our mutual friends for lunch or milk shakes at Johnny J's and shared good times and laughs. The last thing she said to me last Monday, was "Take care of each other." We will do that, remembering how she "took care of us." My tears will be added to all those who are already missing Cleo. Condolences to the family from Marian and Doug Kingdon. Aunt Cleo was a very loving and caring person. She will truly be missed by all who knew her. I first met Cleo at Red Feather Lakes. My husband, Teeny Kendrick, and I were building a A frame vacation cabin. Bill and Cleo came to help and that night we sat around the fire and lit sparklers on the 4th of July. We had a great time, and I thought Cleo was the neatest person.